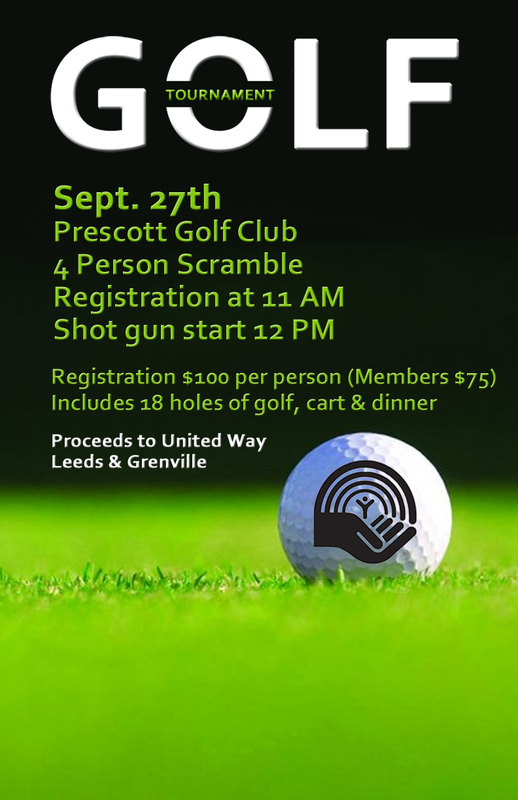 The Golf Tournament is on September 27th at the Prescott Golf Club. It’s a four person scramble, and includes 18 holes of golf, a cart and a steak dinner. Registration is at 11am and has a shot gun start at 12pm. To register, please call Carole McKewen at (613) 342-0371 ext. 1210 or fax this Golf Registration form to 1 (855) 508-1592.